Tools and resources for you! 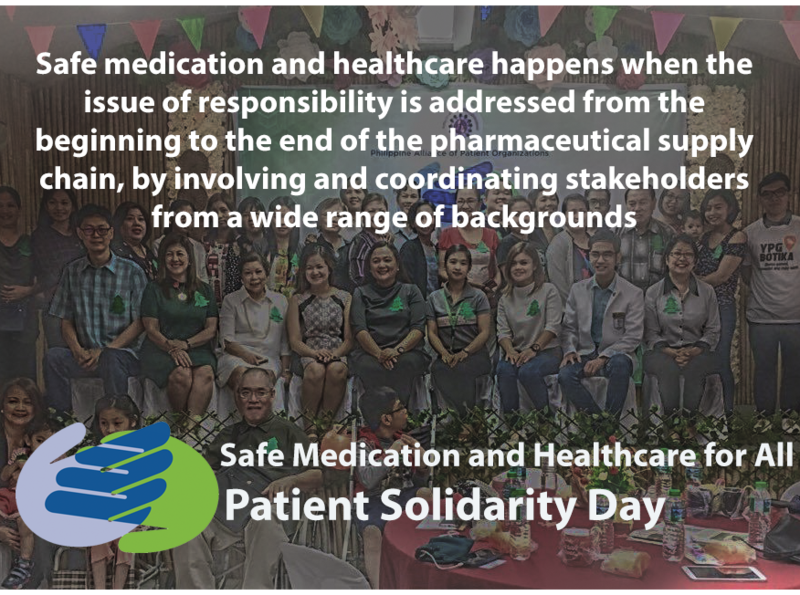 We have developed a range of materials and tools for you to use in your activities and plans for Patient Solidarity Day. Many of these are examples for you to adapt for your organization, country context or activity. For example, the newsletter blurb is an outline for you to use when notifying your networks and partners about the Day and about your activities, and has sections for you to include further details about your plans and background about your work. 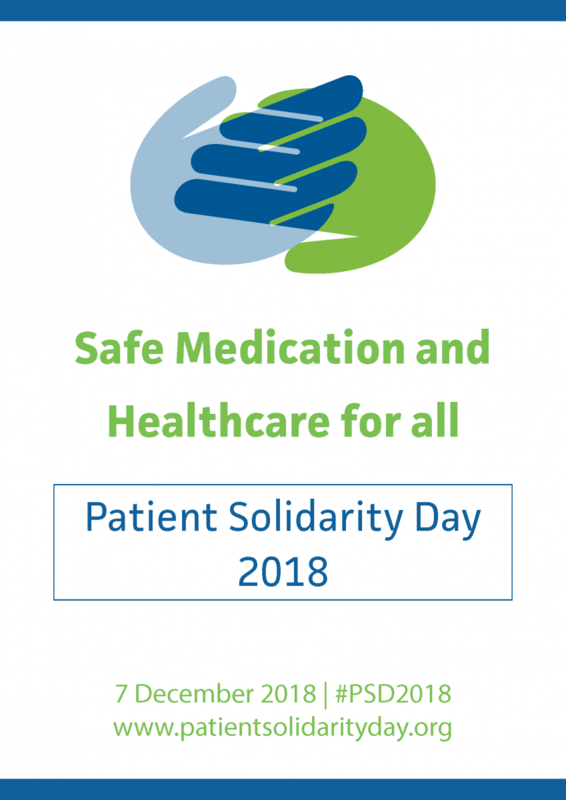 Please feel free to download and use all of the materials in your work, or to translate them to your local language to strengthen your activities on Patient Solidarity Day. 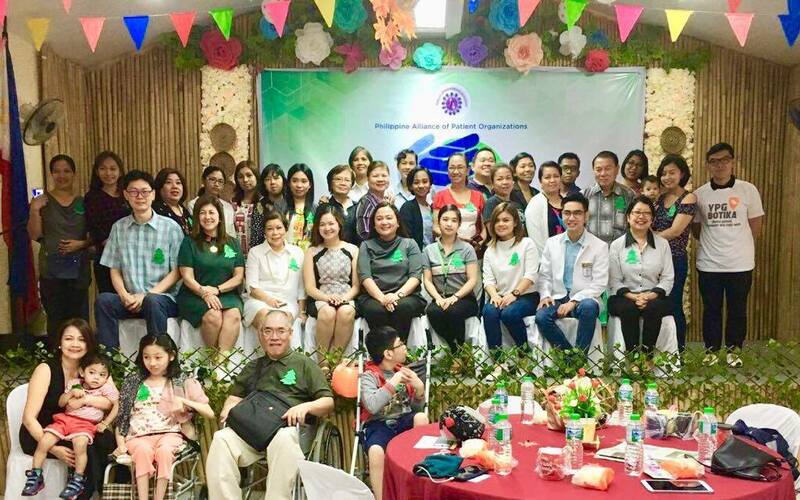 The Toolkit is a comprehensive guide to all activities and outreach around Patient Solidarity Day. It provides ideas on activities, key messages, and guides on how to attract and engage media and other partners.Please download it and use it in your planning! 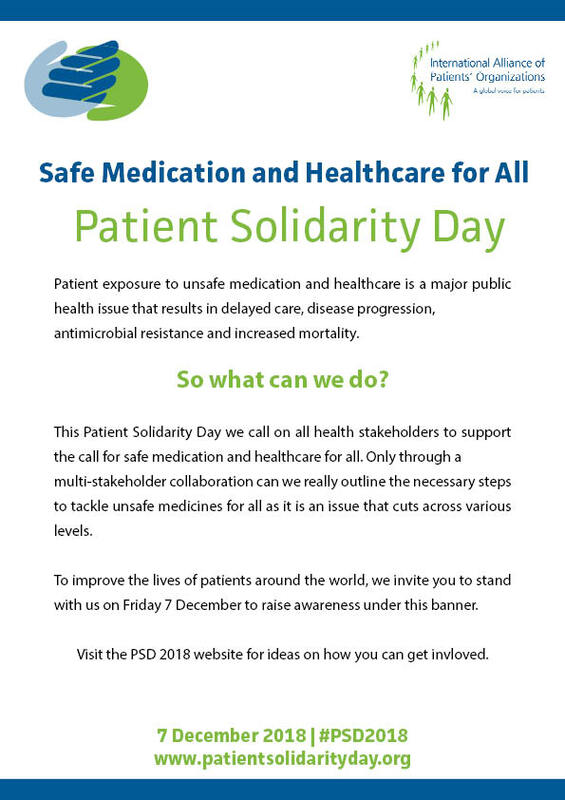 We hope you find these materials helpful in spread the news about Patient Solidarity Day and your organization and activities! Click on the previews graphics below. This will take you to a new page, so that you can right click to save and download them for your own use. Put it onto a car sticker and spread the word even when you are stuck in traffic! Please remember that, for the symbol to become recognisable, it needs to be used in the same way everywhere it is placed. Before you print it or place it online, please make sure that you are using the official logos. If using for professional printing, posters, banners or large scale use, we do have larger formats available. Please contact us should you require this.